(Bloomberg) -- Venezuelan leader Nicolas Maduro may wonder whether President Donald Trump is trying to rattle him. Photos of the note rocketed around Twitter, causing a stir. 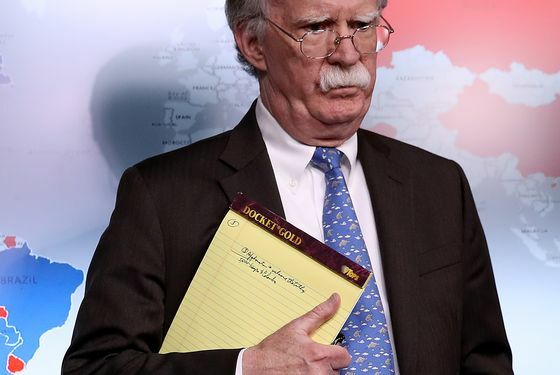 National Security Council representatives didn’t respond to questions about whether the U.S. is planning to deploy the military to Colombia, which, of course, borders Venezuela, or otherwise explain Bolton’s note. One official, who was granted anonymity to discuss the matter, pointed out that Trump hasn’t taken any option off the table with regard to Maduro’s regime. 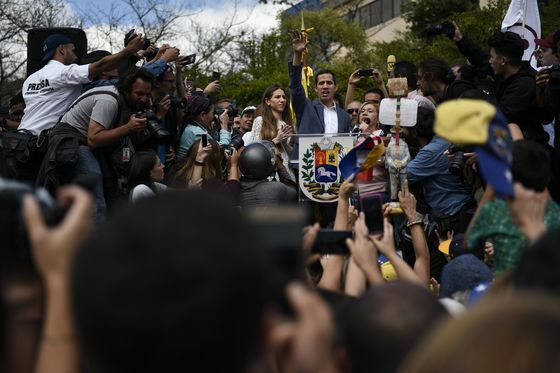 Last week, Trump recognized the Venezuelan National Assembly Leader Juan Guaido as the country’s interim president, and on Monday the U.S. effectively prohibited Maduro from selling oil in the U.S., cutting off a major source of cash for his government. Maduro, in turn, has broken diplomatic relations with the U.S. and ordered American diplomats out of the country. Caracol Radio in Colombia reported on Monday that Major General Mark Stammer, commander of the U.S. Army South, would soon arrive in Colombia to coordinate with allies. Secretary of State Michael Pompeo directed most of his agency’s personnel to leave Venezuela, but the U.S. Embassy in Caracas will remain in operation with a skeleton staff. A U.S. military force in Colombia would be well positioned to respond if Maduro attempts to forcibly evict the remaining American diplomatic presence, or if he arrests or otherwise takes action against Guard.